4S Dance Academy proudly presents its 3rd Annual Spring Performance! There will be two shows, celebrating the hard work and accomplishments of our talented students! *Parents check the studio bulletin board or our Parent’s Page to find our what show your dancer is in. 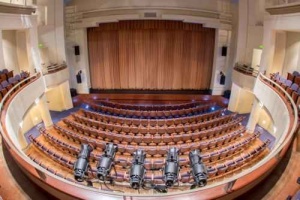 The Center Theatre at the California Center for the Arts, Escondido (CCAE). $20 Adult, $17 Senior & Military, $10 Children under 12, Children under 3 are FREE. All tickets sales are processed by CCAE and they charge online & phone ticket fees. Avoid Fees: Purchase tickets at the CCAE Box Office. Open Tues.-Sat. : 12-6 PM, Sun. : 12-5 PM, Closed Mondays. Discounts: Discounted and Group tickets can only be purchased by calling or going to CCAE’s box office. Purchase Tickets Online: Not on sale. Event passed. Informed Parents help make their dancer’s rehearsal and performance experience even better. Be sure to stay up to date with the latest Spring Recital news by checking the Parent’s Page regularly!